The coolest festival on the Canberra calendar is just around the corner. 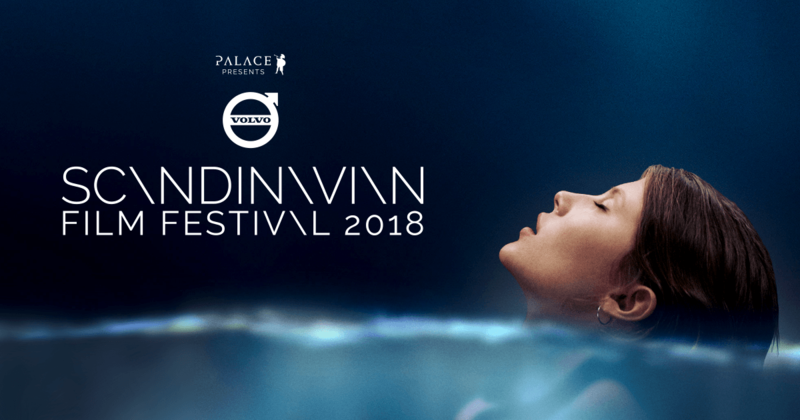 The Scandinavian Film Festival 2018 kicks off at Palace Electric Cinemas from Wednesday 11 July. With a cross-section of Scandi-noir, deadpan comedies, coming-of-age dramas, musical road movies, biopics, icy Westerns and various award-winners from across the Nordic nations, the festival takes in 21 features – 19 enjoying their Australian Premieres. Naturally, the two Scandi-nations synonymous with quality and significant cinematic output are most heavily represented here. In line with their barnstorming success at the 2018 FIFA World Cup, Sweden is the No. 1 player on the festival bill with a total of seven features. Denmark, whose recent World Cup campaign has also seen them playing second fiddle to Sweden, comes in second with six features. The other three smaller Nordic nations, as per their populations and industries, round out the inclusions: Norway (four features), Finland (two features) and Iceland (two features). Opening Night introduces a hot-blooded comedy from the chilly climes of Iceland in Under the Tree. This farcically dramatic black-comedy exposes bourgeois pettiness as tensions reach boiling point over the shade of a mutual front yard tree. Its fiercely contested fate brings ill-will to light and pits neighbour against neighbour. Sweeping the Edda Awards (Icelandic film’s Night of Nights), this was Iceland’s Official Selection for the 2018 Academy Awards. Screening at 6:30 pm followed by an after-party of Nordic nibbles, elderflower cocktails and assorted entertainment. On Wednesday 18 July, Canberra has one other special event up its sleeve to ‘Sweden’ the deal. Ha! Winner of the 2018 Göteborg Film Festival, Amateurs is a sweet Swedish screwball love letter to the changing face of modern-day Sweden. Two high-school girls, equipped with mobiles and selfie-sticks, attempt to document the allure of their provincial town in an endearing bid to entice and ensnare the newest franchise of national supermarket chain ‘Superbilly’. Cue lo-fi hijinks. Cocktails from 6:30 pm, comedy from 7:00 pm. Not to be outdone in the comedy stakes, unassuming Finland throws their hat into the ring with Heavy Trip, a black metal comic cacophony about a struggling Finnish band trying to hit the big time across the border at one of Norway’s biggest metal music festivals. A cross-country road-trip which leads to one uproarious event after another, this was the first Finnish comedy to be selected for the legendary annual SXSW Festival in Austin, Texas. If its recent recognition is anything to go by, the real thematic outlier in this year’s line-up also potentially offers one of the biggest pay-offs. Winner of Un Certain Regard at Cannes Film Festival 2018, the Swedish-Danish co-production Border is a peculiar and beguiling tale which blends modernity with Scandinavian folklore in a fantasy thriller ostensibly reminiscent of last year’s The Shape of Water. Based on a short story from John Ajvide Lindqvist, author of Let the Right One In, this genre chameleon is a case of the less you know, the better. Speaking of accolades, Winter Brothers – winner of nine Danish Academy Awards along with Best Film and Best Cinematography from the Danish Film Critics Association – is another must-see. As two fraternal workers in a remote region each etch out a living through the infernal labour of monotonous mining, a sudden onset of violence ruptures the routine of their existence. While We Live is another Danish entry contemplating the repercussions of tragedy; in this case, the interwoven fates of four people in Northern Denmark following a devastating accident. Considered one of the strongest Danish debuts in years, director Mehdi Avaz – an Iranian-born Dane – has delivered one of the country’s top recent releases. From Norway, the second smallest country, come two of the more challenging offerings: U-July 22 which is a single-shot take depicting the discombobulating terror of the 2011 Utoya Island terror attack perpetrated by Anders Behring Breivik; and the confronting but highly recommended What Will People Say from writer/director Iram Haq. Loosely inspired by her own experiences as a young Pakistani Norwegian and anchored by a breakout central performance from Maria Mozhdah, this is a thought-provoking look at the changing multi-cultural fabric of societies such as Norway and Australia. It’s not all totally bleak though. There’s an Ingmar Bergman-inspired short film cavalcade celebrating 100 years since his birth (Bergman Revisited); Swedish biopics of the musical (A Moon of My Own) and literary (Becoming Astrid) variety; provocative point-of-view relationship comedy (A Horrible Woman); superpower psychodrama (Thelma); ballet drama (Darling); and an entrepreneurial canine business comedy set in China (The Saint Bernard Syndicate). With three different films screening almost every day throughout the festival, and four-film-feasts each Saturday, there is a veritable smorgasbord of content to wrap your mittens around. So, escape the cold and enjoy the cool. It would be ‘Scandi-lous’ not to! The Scandinavian Film Festival in Canberra runs until July 29, including extra sessions by popular demand. There are five, 10 and 20 film passes available. There are even some ‘Scandi-less’ Monday session discount prices exclusively for Palace Members. Sample some Scandinavian cinema, enjoy a fika and try RYE in Braddon for your smørrebrød ‘Scand-wich’ fix! Pick up the Official Programme at Palace Electric Cinemas in NewActon. Scheduling and more information HERE.